I work in a number of theme lines, one of which is “The Artist as Witness” where I explore issues of social and environmental justice. 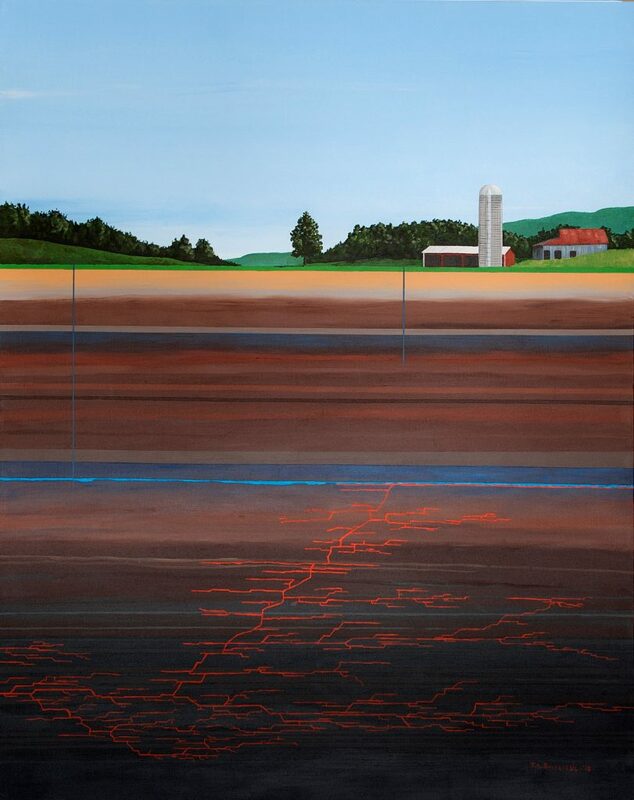 My painting, “What lies below”, poses the question of how much we really understand of our Earth and the impact of our actions to extract its mineral resources. As a geologist, I must be able to re-create a bygone world from the evidence of a few samples of rock. The artist in me creates previously un-dreamt worlds from bits and pieces of my own reality. 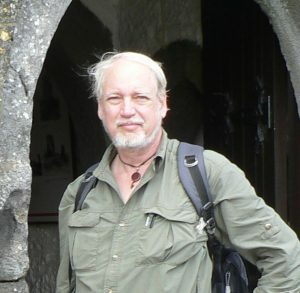 My training and experiences in the Earth Sciences have shaped the way I perceive the physical world – giving me the ability to think in four dimensions, the three spatial dimensions and “deep time.”Â A life-long interest in Anthropology and the evolution of abstract reasoning in humans, along with time spent among other cultures in southern Africa informs my integration of cultural symbolism in many artworks.Â My art emerges from the ideas that pop continuously into my mind. The inspirations that come to me demand treatment in specific media and styles – whether it be paint, fiber, or a mixture of materials. Nearly every work I create is narrative. I present a theme, a snapshot image, and a question – whether addressing issues of social or environmental justice, cosmic connections, travel, or the humor of the surreal. I challenge viewers’ perceptions of reality, and get them to think deeply about who they are in relation to the world around them. Viewers are then challenged to complete the story from their own experiences. My work appears regularly in juried exhibitions across Ohio, and is part of private collections across the country.